The Spirit of St. Louis Region was founded in 1985 and although we are not one of the oldest we are one of the best. Please take a tour of our site and let us show you what the "Show Me State" has to offer! Welcome to the SSR CCCA Website. Our region is located in St. Louis, MO and encompasses the eastern half of Missouri and the South Western portion of Illinois. However, we have members from all over the nation. Many people join our region just to receive our award winning publication, the Spirit Spark Plug. Samples of our publication may be viewed on this site. Currently, our club has over 100 members and associates and continues to grow each year. We are a very active club, and average two activities per month, weather permitting of course. 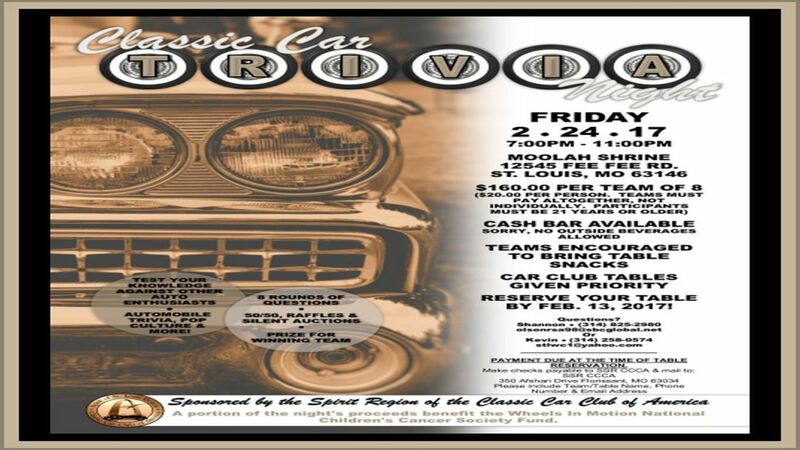 Local and national car shows, CCCA Grand Classics, CCCA CARavans, monthly Spirit Nights, tours of St. Louis landmarks, and much more fill our yearly calendar and give an opportunity to get your Classic out. If you do not own a Classic, we always welcome collector cars at our local events. Also, if you would like to see what our region is all about, we invite you to be our guest at an upcoming Spirit Night or membership meeting. Take a look at our publication or activities calendar and join us! You do not have to own a classic to be a member, nor do you have to live in our immediate region. All we ask is that you have an appreciation for and an interest in the finest automobiles in the world that were built during the Classic Era (1925-1948). 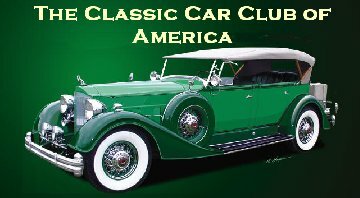 For more information on the definition of a Classic Car or to join the Classic Car Club of America, please visit www.classiccarclub.org.